History : On 1 November 1993, King Norodom Sihanouk issued a Royal Decree concerning the Creation and Designation of Protected Areas, resurrecting Cambodia's commitment to developing a national system of protected areas following decades of civil conflict. The Parks were selected as a "natural and scenic area of significance for its scientific, educational and recreational values". 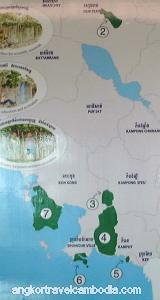 The Ministry of Environment is responsible for management and protection of all national parks in Cambodia. But the parks are threatened by various illegal activities, including charcoal production, hunting fishing and logging. These issues are being addressed through a combination of law enforcement, education and community development programs. Donations to future Park management will be gratefully accepted and can be made at Park headquarters. 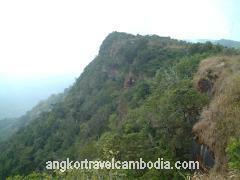 The park is situated 120 km west of Phnom Penh, in the Kampong Speu province. It covers an area of 35.000 hectares (350 km²) and is estimated to be composed of natural and semi- natural vegetation. The park is a mountain resort (800 m above sea level), known for its pine tree covered hills, water falls and lakes. It was a favourite retreat for King Sihanouk in the 1960s. 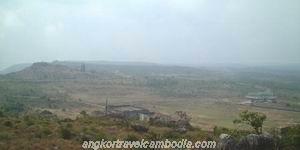 Unfortunately, the king’s villas, roads and other infrastructures were all destroyed during the Khmer rouge era. The park was declared a national park after the government troops won it back in 1992. The park is only open to visitors since 1997. 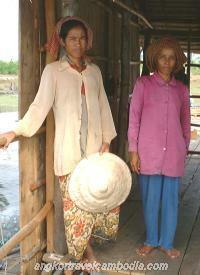 Visitors are mainly Khmer people coming at the week-end or for holidays. It’s the only Cambodian park that can be visited on a one day return trip from the Cambodian capital, Phnom Penh or as a stop over on the way to the coast. I visited the national park in 2002. I was doing an internship in Cambodia and I went to Kirirom for a mushroom inspection. Being a scientific mission I had a special permit made by the national park authorities. That allowed me to go anywhere in the park. The Kirirom landscape includes mountains and hills, up to 800 m in altitude, and water sheds and talwegs, where the water is drained to the lower part of the park. The pine trees forest, which is peculiar of this park, is only found between 600 and 800 m altitude, with a clear undergrowth of graminaceous. That’s where Nepenthes smilesii thrives. It grows among low graminaceous on sandstone soil covered with pine needles. The number of plants you will find is varying in my opinion according to the competition with graminaceous. In some places the last ones are so present that nepenthes are absent. Colour of plants ranges from almost totally green to green with red marks and to totally red. They are rarely all red or all green but generally green with red marks. The biggest specimen I found had 30 cm long pitchers. If you go down to 600 m altitude, you don't find anymore nepenthes and the vegetation is much more dense. 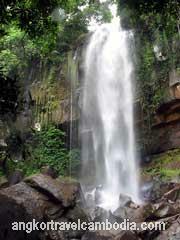 The average annual rainfall in the Kirirom national park is about 2.000 mm. 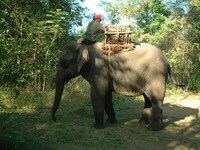 The best time to visit the park is just after the rainy season which occurs between May and October. Since its opening in the late 1990s the park's facilities have improved to attract more visitors. You’ll find the accommodation suiting your budget from the luxury resort to the simple guesthouse. 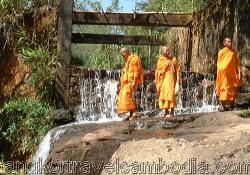 You can also contact travel agencies in Phnom Penh that will arrange day trips to the park. If you wish to visit more than one or two areas, you are better have your own transport (4x4 car or motorbike). Bokor, a 1000m plateau, is home to a wide variety of animal and plant species, spans 1,400 square kilometers. But the park is now under threat by illegal hunting and logging, and has only 50rangers to protect it. A new conservation project is now underway and gives hope to Bokor's future. Rangers are being trained and equipped to patrol the park and work cooperatively with local communities. This project needs your help, please do not litter in the park. Entrance fees are the only source of income for basic operating costs. Enjoy your visit. 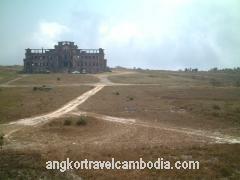 Bokor National Park is located at the southern tip of the Elephant Mountains near the Cambodia Viet nam border. It was first accessed in 1916 and developed later as a famous altitude resort during the French Protectorate and Prince Norodom Sihanouk regime in the 60's. The hill station has been abandon twice in its history, once when the Vietnamese overran the place in the late 40's while fighting for independence against the French, and then again in 1972 when it was overran by the Khmer Rouge. 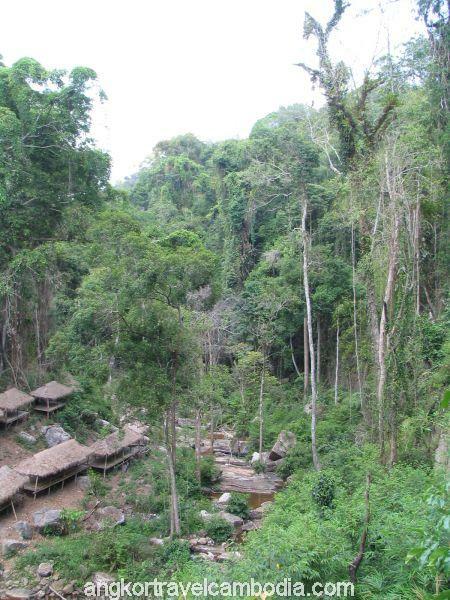 This Cambodian National Park was founded in 1993 and it consists of untouched jungle, waterfalls, rivers and much more. A fabulous view of both the Cambodian and Vietnamese coast and islands can be seen form the top as it is 1081 meters above sea level. Recently, the park has been receiving funding to focuses on protection, monitoring of wildlife and community out reach programs. Since this program began, poaching of endangered animals and illegal logging has diminished. 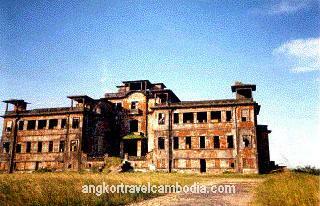 At the present only church and this hotel "Bokor Palace" remained of the past. Ream National Park is 21,000 hectares costal park, which include two islands situated 18 kilometers east of Sihanoukville. Mangrove forest supports a rich diversity of flora and fauna. 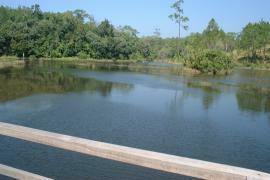 You can visit the estuary, lowland evergreen forest, sandy beach and so on. The Sihanoukville Eco tour includes a boat trip down the Prek Tuk Sap River, through the mangrove forest, until it reaches the sea, before continuing on to Koh Som Poch beach and Thmor Thom Fishing Village. The duration of the boat trip is about 3 hours and on the way you can watch birds, take short jungle walks, swim, sunbathe and snorkel. A short walking tour of the fishing village offers an opportunity to learn about the life of a Cambodian fishing family. The Eco Tour also offers you a jungle trek to Meditation Mountain, which is a place of worship for many Khmers, and offers a great view of the park from the top. You will be guided by one of the park rangers, who will give you information on the flora, fauna and history of the area. The walk takes about 2 hours from start to finish and is relatively easy. 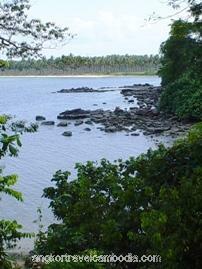 Virachay National Park is situated 45 kilometres north of Banlung. With a total land area of 332,500 hectares, there are many varieties of plants and trees and many different species of animals and birds to be spotted in the forest. Visitors can participate in a number of activities with park rangers granting various services to help visitors discover Ream's diverse environment. Park Headquarters is 600m off National Road 4 on Airport Road, opposite the entrance to Keng Kong Airport. Transport to Ream : Taxi or moto taxis are available from Sihanouk Ville telling the driver you wish to go to Ream.